After Binny Bansal’s exit, what’s next for Walmart-owned Flipkart? Flipkart co-founder Binny Bansal’s abrupt resignation as group chief executive officer this week puts US retail giant Walmart Inc. firmly in charge of the e-commerce company it bought for $16 billion just months ago. With both founders—Sachin Bansal left when the deal was announced—out of the way, the Arkansas-based retailer will now have the latitude to put robust systems and processes in place as it braces to go up against rival Amazon.com Inc. for dominance in India’s e-commerce market. By most accounts, despite the unpleasant circumstances under which Binny Bansal was compelled to step down, his departure is unlikely to have any material impact on day-to-day operations. “If at all there is any impact (because of Binny Bansal stepping down), it’s going to be positive. It only goes to show that Walmart has more than enough confidence in its ability to run the business on its own,” said Arvind Singhal, chairman of retail consultancy Technopak. Indeed, in the months since it acquired Flipkart, Walmart has moved swiftly to bring in several senior executives from its global operations. In September this year, Emily McNeal, global head of mergers and acquisitions at Walmart, moved to Flipkart as senior vice president and group chief financial officer. Three other executives—Daniel De La Garza, Grant Coad and Dawn Ptak—also moved into Flipkart around the same time, said multiple media reports citing an email to employees from Binny Bansal. Garza joined as vice president and chief ethics and compliance officer, Coad as general counsel, and Ptak as vice president and group controller. “It isn’t any surprise that Walmart has brought in some of their own people to manage the financial and legal aspects of the transition. It’s a huge bet financially for them,” said Singhal. 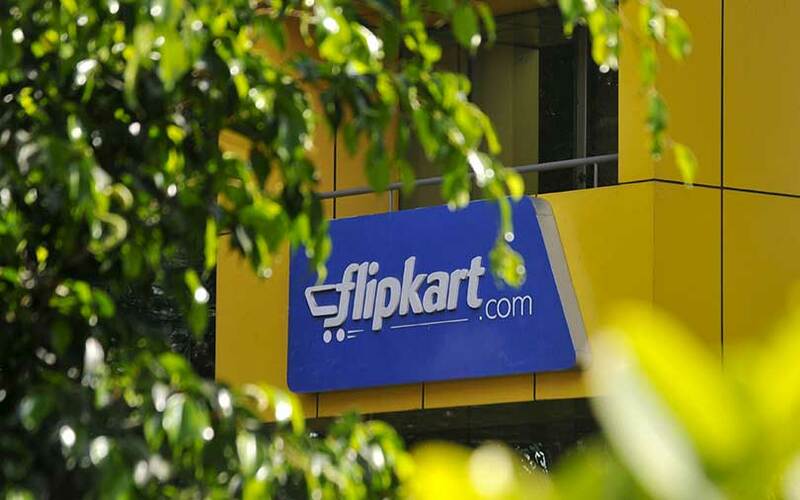 Flipkart’s day-to-day operations continue to be run by CEO Kalyan Krishnamurthy, a former executive at Tiger Global Management, which until recently was the largest investor and stakeholder in Flipkart. Krishnamurthy took over from Binny Bansal in January last year when the latter was elevated to group CEO as part of an investor-led top leadership reshuffle. As group CEO, Binny Bansal’s primary responsibility was to oversee the operations of Flipkart subsidiaries Myntra, Jabong and PhonePe. The CEOs of those businesses, Ananth Narayanan and Sameer Nigam, reported into him. Following his departure, Narayanan will report to Krishnamurthy while Nigam will report directly to the board, Walmart said in a statement on Tuesday. The transition from being led by founder-CEOs to being steered by professional managers gives Flipkart a real chance to grow out of its startup DNA and into an institution. “The move of a founder is something which no startup wishes but it does happen,” said Sajith Pai, director at Mumbai-based venture capital firm Blume Ventures. Flipkart also isn’t the first technology startup to undergo the transition in recent times. Cab-hailing firm Uber Technologies replaced its founder and CEO Travis Kalanick with Dara Khosrowshahi amid a litany of regulatory problems, driver and consumer scandals, and court cases. In another instance, Richa Kar, the founder and CEO of homegrown lingerie e-tailer Zivame, which is backed by IDG Ventures and Kalaari Capital, had stepped down in March last year owing to performance pressures. The investors eventually brought on board Amisha Jain as the new CEO. In February this year, investor RoundGlass Partners LLC bought doctor networking platform Curofy from its founders in an all-cash deal worth Rs 60-80 crore ($9-12 million). “In Silicon Valley, there are plenty of cases where founders have moved to the background and professional CEOs have taken charge to take the company to the next level. It’s just unfortunate that in this case, the founder is moving out in somewhat murky circumstances,” said an executive at a Bengaluru-based venture capital firm on the condition of anonymity. For Walmart, pushing through the transition successfully is crucial given that it has a $16-billion investment at stake. Flipkart is still bleeding financially, even though its losses narrowed in the financial year ended March 2018. The consolidated net loss of Flipkart Internet Pvt. Ltd, which operates the marketplace, narrowed to Rs 1,160.6 crore from Rs 1,640.2 in the previous year. Flipkart Internet clocked a 48% increase in consolidated net revenue to Rs 2,790.2 crore for 2017-18 from Rs 1,882.4 crore the previous year. It is as crucial, if not more, for Flipkart’s existing financial investors. While Walmart owns 77% of Flipkart, financial investors such as Tiger Global, Microsoft Corp and Tencent Holdings hold the remainder along with Binny Bansal. After Walmart bought Flipkart, a number of its investors fully and partially exited the company. These include global e-commerce firm eBay Inc., which sold its stake for about $1.1 billion; Japanese telecom and Internet conglomerate SoftBank Group Corp, whose CEO Masayoshi Son said that its $2.5-billion investment in the e-commerce company grew to $4 billion; South African conglomerate Naspers, which got $2.2 billion for its entire 11.18% stake sale; co-founder Sachin Bansal, who made $1 billion after selling his 5.5% stake in the company; and venture capital firm Accel Partners, one of Flipkart’s earliest investors. It had invested more than $100 million into the e-commerce giant and was expected to pocket between $800 million and $1 billion in returns. According to several media reports, Tiger Global sold 75% of its shares in the deal and made $3 billion after investing $1 billion in the company. Tiger Global still holds a 5% share in the company.